I graduated in 2016 from the Australian National University School of Art and Design with a Bachelor of Visual Arts (Honours) and was awarded the Emerging Artist Support Scheme Peter and Lena Karmel Anniversary Award for best graduating student. During my studies I received ANU College of Arts and Social Sciences Honours Scholarship and Pilchuck Partnership Scholarship ANU School of Art / Pilchuck Glass School where she attended a workshop at Pilchuck Glass School USA. Since graduating I was awarded a Graduate in Residence at the Canberra Glassworks in March 2017 during which time I began to fulfil my ambition to highlight the important role of mothers by involving mothers from the Canberra community to participate in my work. The work from this residency was then exhibited at the EASS Belconnen Arts Centre Exhibition. 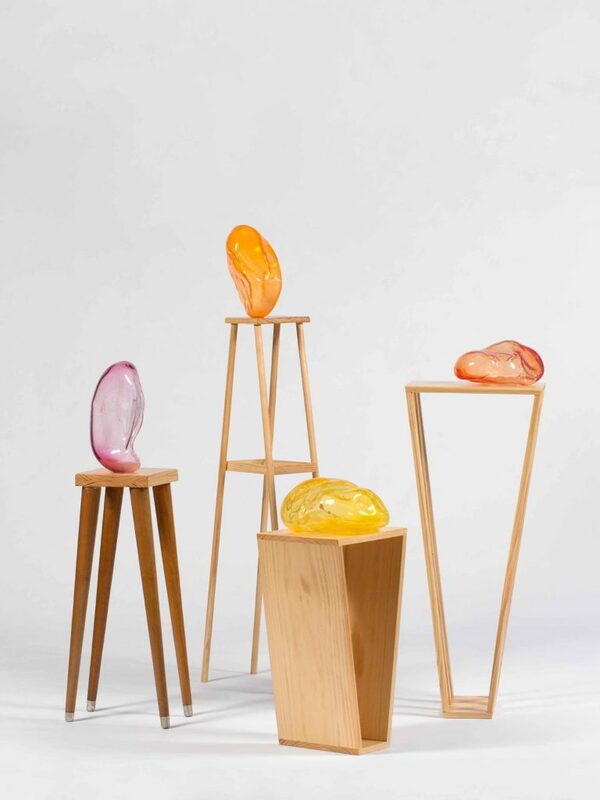 I have also exhibited in Hangzhou International Contemporary Glass Art Exhibition, China, and was a finalist in the Hindmarsh Prize, Canberra Glassworks 2017 and participated in Living Rooms, Design Canberra 2017 where I curated an exhibition. More recently I received an Arts ACT 2018 Project Funding to attend Murano GAS conference 2018 where I assisted Nadege Desgenetez in a conference demonstration and travelled to Corning, USA as a teaching assistant for Evelyn Dunstan and Marina Hanser. love and intimacy. Scrutinising the materiality of glass, delving into its formal and metaphorical potential to convey the connection between mother and child through ideas of touch informed by psychological and theories of ‘nature versus nurture’. Largely biographical, my work focuses on my relationship with my four children. Based on a personal journey, it celebrates and promotes the important role mothers have in today’s society.